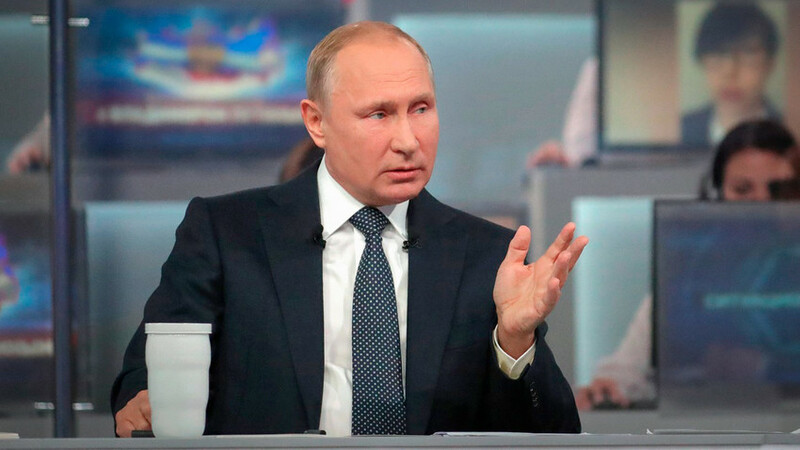 Russian President Vladimir Putin is holding his annual televised Q&A session dubbed “The Direct Line” on June 7, where he answers the nation’s questions. One was about the fate of social networks in Russia. The popular messaging service Telegram was banned in Russia more than a month ago after a protracted battle with authorities (functionality, however, remains for a lot of people). “Can Russia block YouTube and Instagram?” asked blogger Gusein Gasanov. However, Putin also expressed concern about the issue of security. “You said that you are worried. I am worried as well, as a president, about the security of the people. When the security services tell me that, following the explosions in the St. Petersburg underground, they had not been able to detect the communication among the terrorists, since it is encrypted, and the terrorists are using [the app], how should I react? Security issues come first," the President concluded. "I will encourage all of my colleagues to adopt this approach, which implies that intelligence services and law enforcement agencies should use modern methods of countering offences, including terror-related crimes, without restricting freedom, particularly freedom on the Internet," he added.